Tunisian singer Ghalia Benali is set to perform at Sehraya, fifth settlement, on 16 June. 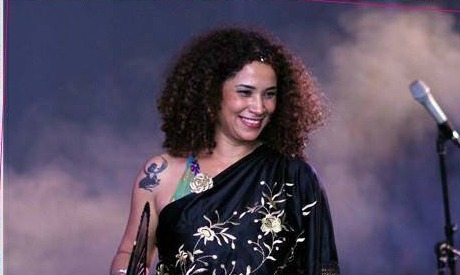 Tunisian singer and songwriter Ghalia Benali was born in Brussels, in 1968. Four years later her family returned to the small town of Zarzis, Tunisia, where she spent her childhood, developing an early fondness for films, music, and the tunes of Om Kalthoum and Adib al-Dayikh. At the age of 19, the singer moved back to Brussels for her studies, where she began to perform, and soon gained recognition across the European music scene -it was not until 2012 that Benali made her debut on an Arab stage, and became a prominent figure in the Arab music scene as well. Her first solo album, the self-produced Nada, was released in 2002. The singer has also starred in a number of films, including Moufida Tlatli’s 2000 film “A Season of Men”, Tony Gatliff’s 2002 film “Swing”, and Leyla Bouzid’s first feature film “When I Open My Eyes”, which came out in 2015. She has aso collaborated with Egyptian director Mohamed Hisham on his short film “Jareedy”. The artist’s music is known for combining genres and time periods, both her multicultural background and fascination with Arab music legends, are reflected in her own tunes.